Another Intel-based 9.7-inch tablet. We don’t yet know the CPU. Will it be one of the new Intel x-series CPUs? The Galaxy Tab S 2 8.0 (SM-T715) will feature an 8-inch Super AMOLED display with a resolution of 2048 x 1536 and as aspect ration of 4:3. It will be thinner than the Apple iPad Air at just 5.4mm, and will feature an octa-core Exynos 5433 processor, 3GB RAM, 32GB storage, 8-megapixel primary camera, 2.1-megapixel secondary camera, LTE Cat. 6, and a 3,850 mAh battery. This tablet, and its 9.7-inch sibling, the Galaxy Tab S 2 9.7 (SM-T810), will run Android 5.0 Lollipop out of the box and have metal bodies, just like the recent mid-range and high-end smartphones from Samsung. 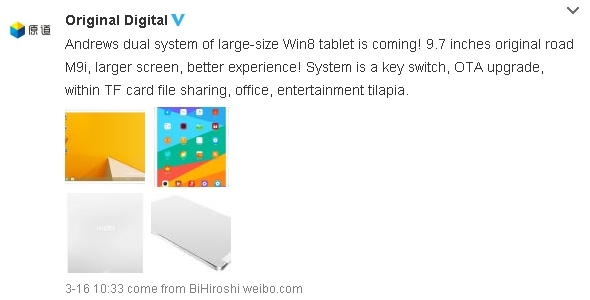 If those specs are true, this tablet is worth waiting for. Sure, the camera could have had more megapixels. But I hope they’ve at least improved it over their past ones. Prior cameras were just garbage and unworthy of Samsung. Personally, I still drool a bit whenever I see Samsung’s Galaxy Tab S 8.4. The screen is gorgeous and I don’t mind the plastic shell. It’s thin and light and really feels like a product of the 21st century. (The heavy metal body of the Dell Venue 8 7000 seems very 20th century.) Having that in a 4:3 package would be fantastic. Of course, with Samsung, there’s always a question of price.